Pumpkin Fine Cars & Exotics has a GREAT PREOWNED Vehicle.....JUST IN! 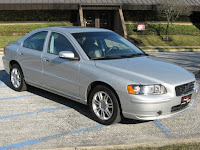 A 2008 Volvo S60 2.5T, 4-Door Sedan. 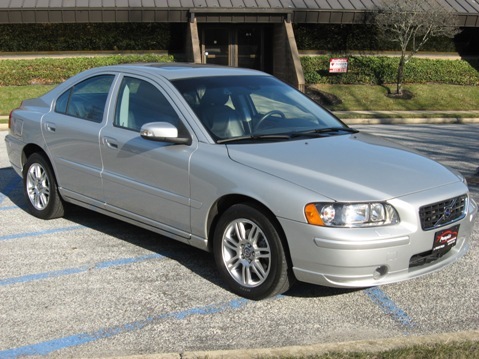 This SAFE, RELIABLE AND GREAT LOOKING Volvo S60 is a classic Silver on Black Leather with Laurel Wood Trimming. A CARFAX CERTIFIED ONE OWNER car with VERY LOW MILES. BARELY BROKEN IN, it has been FULLY SERVICED & PUMPKIN CERTIFIED! Great Features like Power/HEATED SEATS w/ Memory, MP3/CD Player, Power Moon Roof, Alloy Wheels and so Much More!! With a 5-Cylinder, 2.5 liter Turbo engine, AWD and Automatic transmission you'll get plenty of power and TERRIFIC HANDLING. Priced at $21,495, you're saving THOUSANDS OVER MSRP by purchasing pre-owned. Not too mention that Volvo makes the MOST COMFORTABLE vehicles to drive. Come in for a NO HASSLE test drive and see why more and more drivers are choosing Pumpkin Cars! CONTACT US at (609) 646-7676 or by email at [email protected]. Visit us on the web at http://www.pumpkincars.com/ for a complete list of our pre-owned vehicles or for more information.